The Downtown Windsor Family Aquatic Complex has hit a major milestone this week after five months into construction. Erection of vertical structure beams began this week as the complex rises above ground level. Construction crews have been working on the new $64 million dollar facility for twenty-one weeks and recently finished key components of the first level’s concrete floors. Foundation and concrete work is still continuing near the south end of the facility. The new pool will be open in time for next summer’s 2013 International Childrens’ Games. 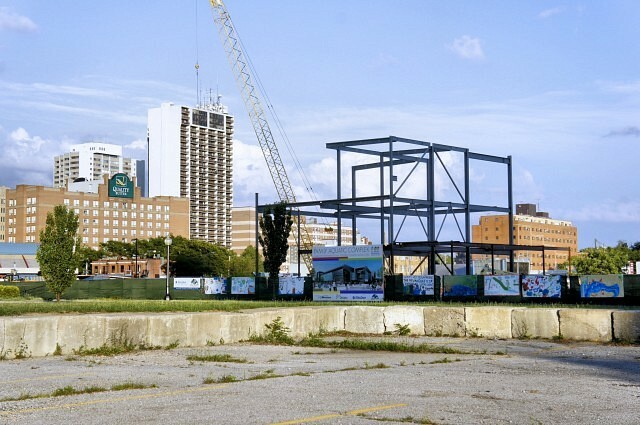 Check out windsoriteDOTca’s ongoing, weekly series Aquatic Centre as week visually keep track of the progress at the facility.